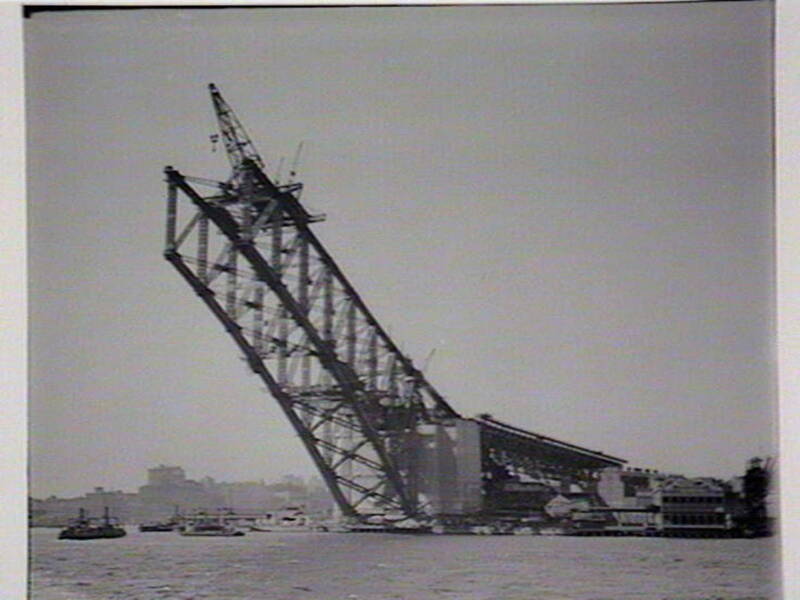 On this day, 28 July 1923, construction began on the Sydney Harbour Bridge. In 1912, J. J. C. Bradfield was appointed chief engineer of the bridge project, which also had to include a railway. Plans were completed in 1916 but the advent of WWI delayed implementation until 1922. The Sydney Harbour Bridge is 49 metres wide and its arch rises 134 metres above the harbour. Construction took 1,400 men, eight years to build at a cost of 4.2 million. 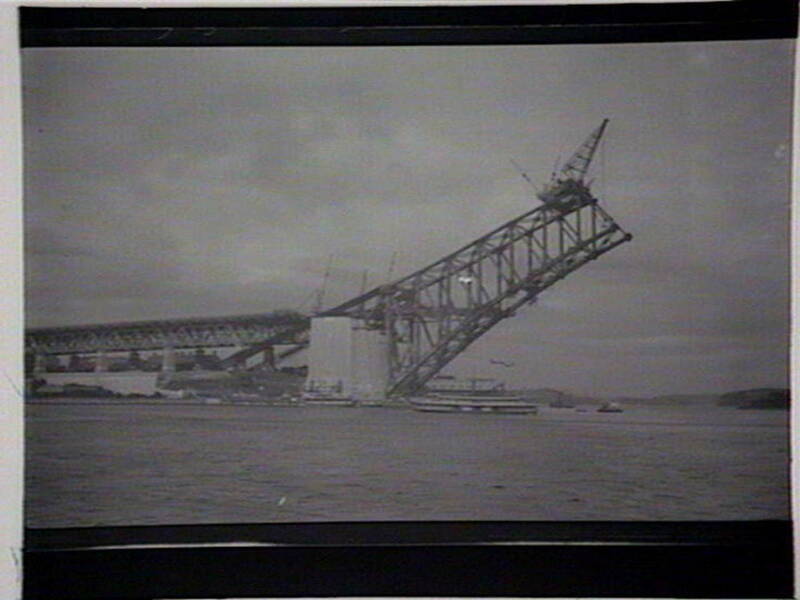 Six million hand driven rivets and 53,000 tonnes of steel were used in its construction. Sixteen lives were lost during its construction, and up to 800 families had to be relocated and their homes demolished to clear the path for the bridge. 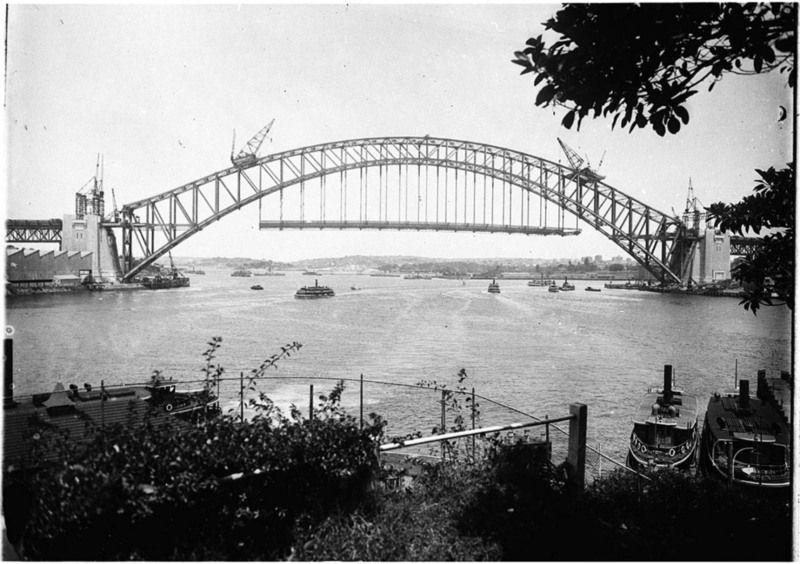 The State Library of New South Wales has a large collection of photographs depicting the stages of construction of the Sydney Harbour Bridge, which opened in 1932.